Ouch! 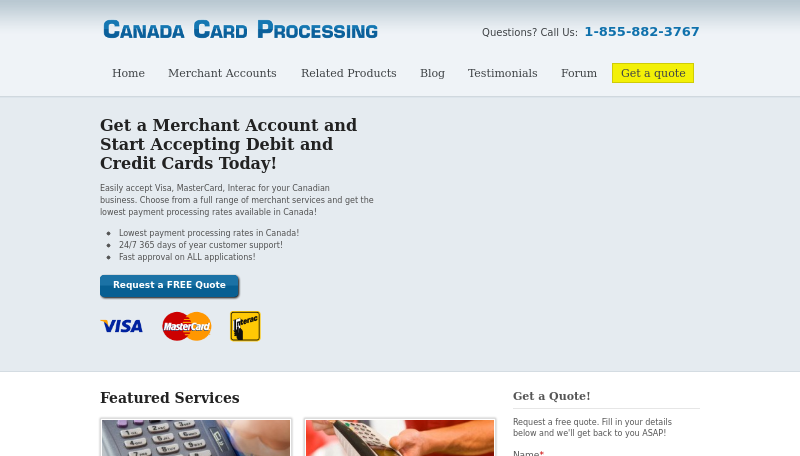 canadacardprocessing.com needs work. Chase Paymentech out-performs your website. Your website has a low score because it isn't mobile friendly, and has poor authority, visibility and trust.